Any commercial business is incomplete without a well-defined receipt which it gives to its customers as well as those between whom any monetary transactions take place. 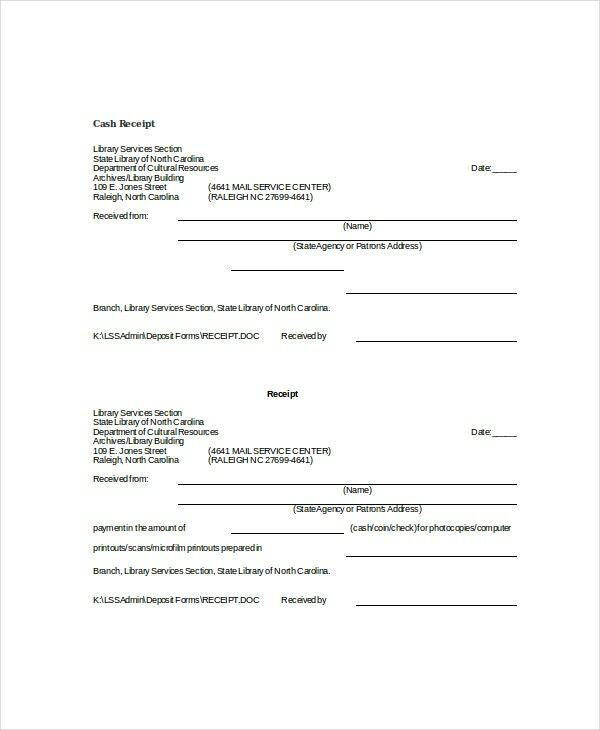 Instead of having to spend hours or contacting professionals to make a receipt design for your business, you can use the below given word Receipt Templates. Various kinds of templates are available for different types of businesses. Check them out by clicking on the links given below their description. 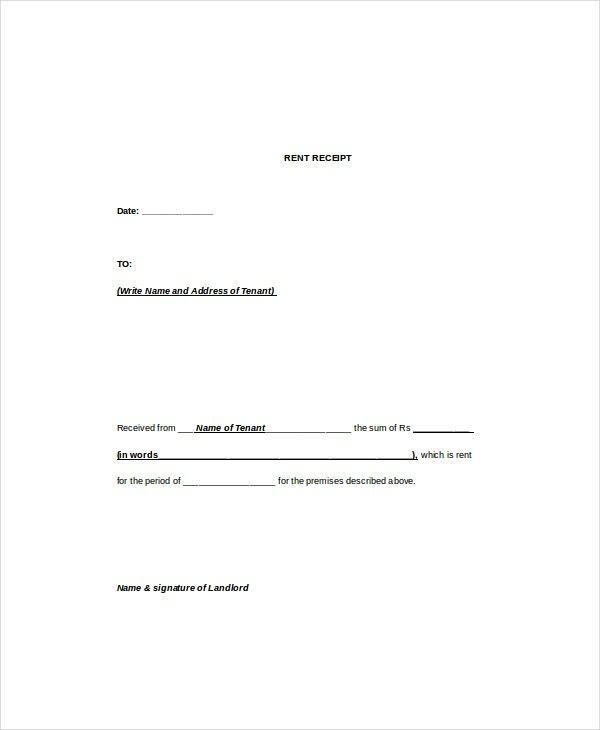 This word receipt template is best suited for those who wish to rent a property. This receipt is to be given to the tenant on receiving the rent by mentioning the amount of rent and duration it is valid for. 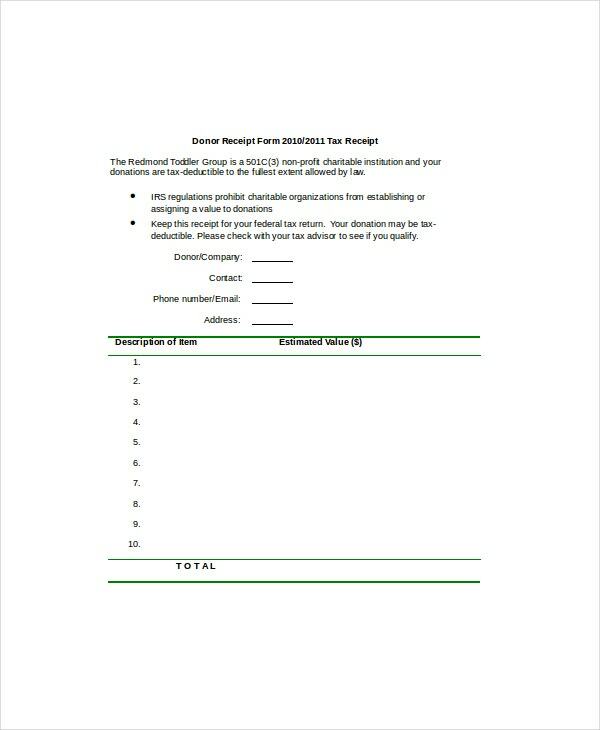 This is a word receipt template that is to be given to the customer in return for payment they give for the services provided to them. It is designed for a library but can be edited and used for similar purposes. This is a very generic word receipt template and can be used by any kind of business to give to its customers. The name of the recipient, payer and the amount of payment is to be filled. You can also see Official Receipt Templates. This word receipt template is specifically designed for hotels to be given to the customers on payment of advance for reservations. Various details regarding the reservation have to be filled. This word receipt template is useful to be given in return of payment for different services availed by the customers. 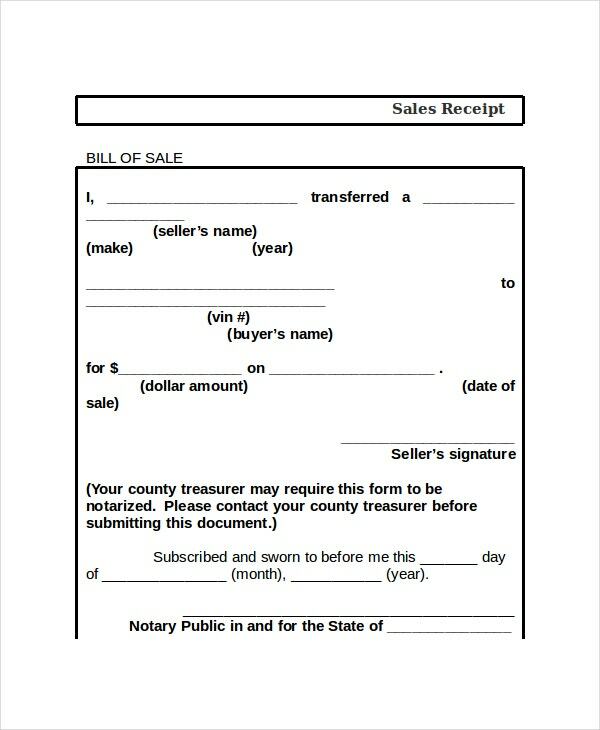 Details regarding the transaction have to be filled in designated regions. > How does a Receipt Work? A receipt is a form of acknowledge of payment by a person or an organization to another which is made in return for the services that are provided by the latter. Receipts are given as they are a record of payment done. These records are useful in many ways, for both the customers as well as the owners of the business. Customers can keep them to calculate their expenses whenever they wish to. Owners use them to calculate their total sale, profit, etc. Receipts are also important as they are important for calculation of taxes to be paid and also required as proofs for any tax deductions. You can also see Store Receipt Templates. > Who can use Receipt Templates? Receipt templates can be used by anybody who is involved in monetary transaction with another person or organization and is bound to give a proof of that transaction after it is done. Be it a landlord renting his or her property, a hotel owner, a shop owner, a bookstore owner or any other kind of business where you have to give your customers a proof of their payment. You can use the receipt templates to form your own receipts to give as such proofs. 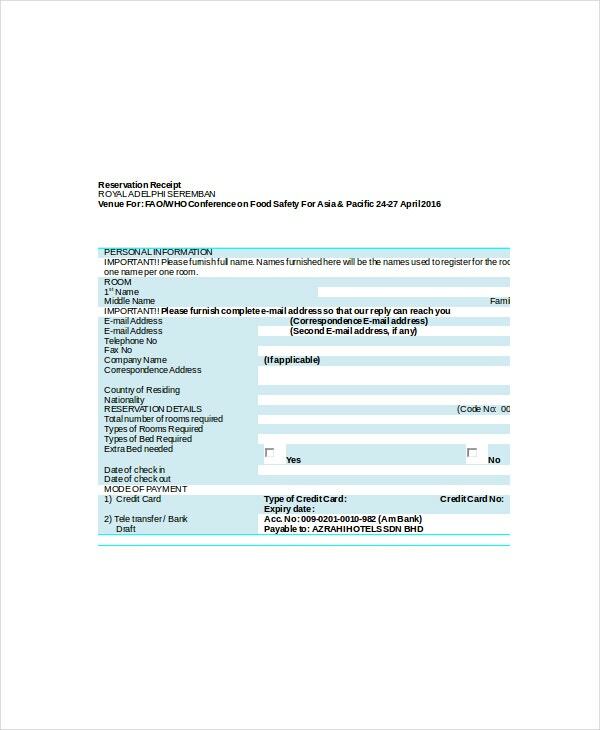 These templates are very straightforward to use and you just need to fill the necessary details in specified regions. > What are the Benefits of using a Receipt Template? Receipt templates are extremely handy. Various types of receipts have to be given out for different types of transactions. You cannot always call someone for printing receipts for every situation. 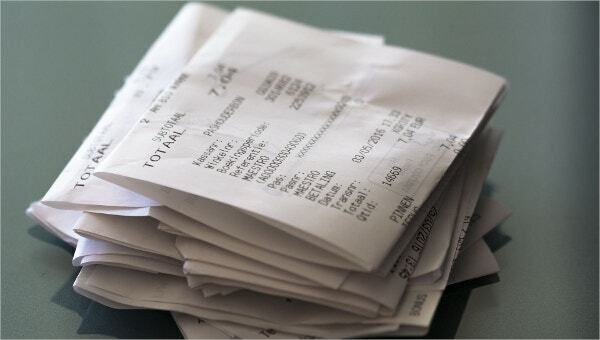 Also, taking services for the creation of receipts for different purposes can cost you a significant amount of money. You can save all the effort and money you would otherwise have to put into getting receipts made by freely downloading the given receipt templates. You can choose from different templates for different purposes. 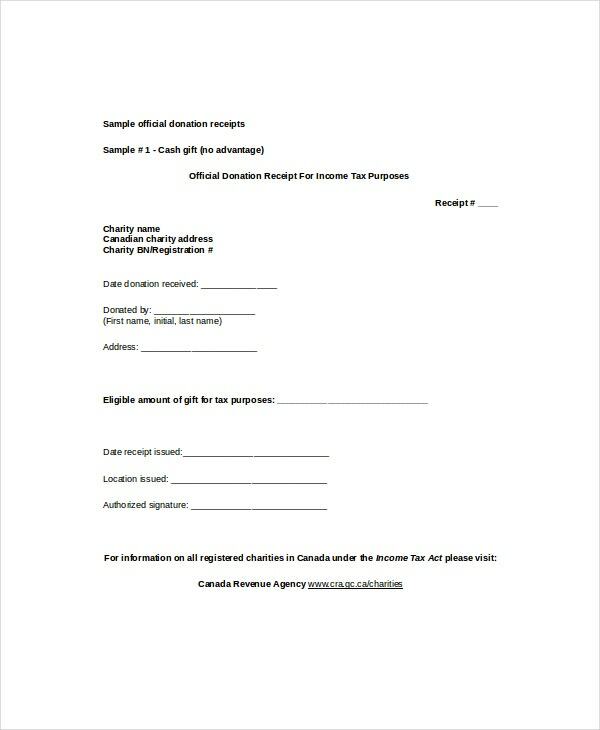 You can readily print these templates and just have to fill specifics of your transaction to have the receipts ready. 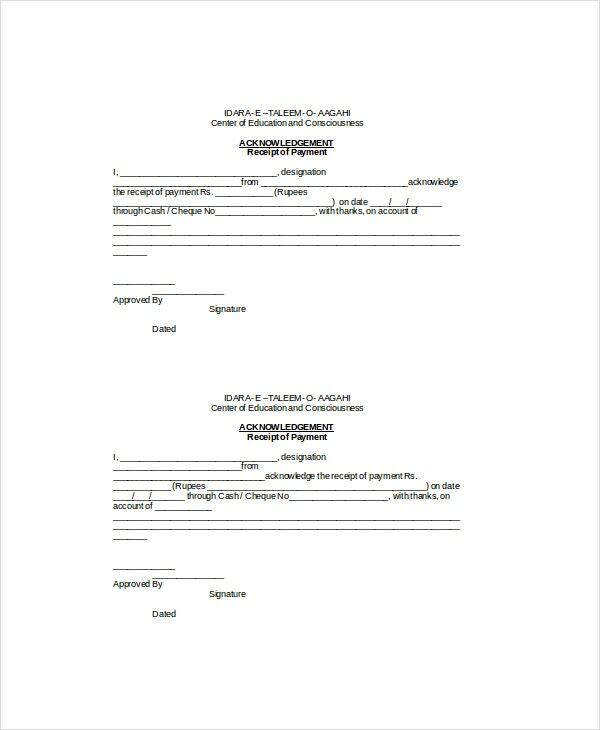 You can also see Contractor Receipt Templates. Invoice templates are useful in keeping a record of transactions. Word receipt templates are extremely easy to use. All the details you need to fill along with where you need to fill them have been clearly specified in each template. Choose the template that best suits your business and create awesome receipts for your transactions.